Netanyahu said earlier this week Israel was willing to consider initiative that would lead to normalization of ties between Jerusalem and Arab states if changes are made to it, as it calls for Israeli withdrawal from territories, including the Golan Heights. The international conference held in Paris on Friday seeking to revive the Israeli-Palestinian peace process has concluded with a call from Saudi Arabia to adopt the 2002 Arab peace initiative, which would lead to normalization of ties between Israel and Arab states. "The Arab initiative from 2002 is the best proposal for the resolution of the Israeli-Palestinian conflict," said Adel al-Jubeir, the foreign minister of Saudi Arabia, which is considered one of the more pragmatic Arab nations. The Arab peace initiative, also known as the "Saudi initiative," called on Israel in 2002 to withdraw from the Golan Heights, the Gaza Strip, the West Bank and East Jerusalem. It also called for an independent Palestinian state to be established with East Jerusalem as its capital and for a "just solution for the refugee issue." In return, all Arab states will normalize their relations with Israel and declare the end of their conflict with it. Earlier this week, Prime Minister Benjamin Netanyahu said the Arab initiative was an option Israel was willing to consider, but only if changes are made to it. "We're willing to negotiate with Arab states on the updating of the initiative so it reflects the dramatic changes that happened in our region since 2002, while still maintaining the agreed goal of two states for two peoples," Netanyahu said. 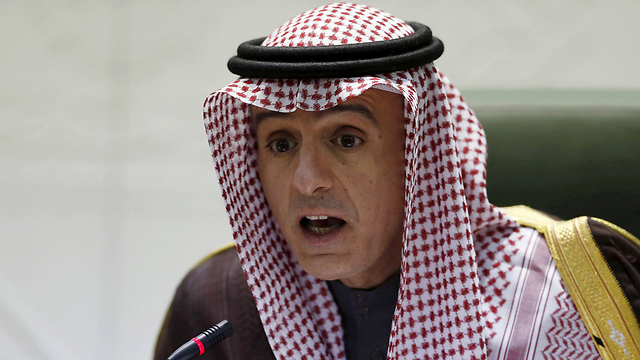 Al-Jubeir said that changes could be made to the initiative and called on Israel to declare it accepts the initiative, adding that "I hope wisdom prevails in Israel." "The Arab peace initiative has all the elements for a final settlement. It is on the table and a solid basis for resolving this long-standing dispute. It provides Israel with a lot of incentives and it's incumbent on the Israelis to accept that," he added. The Paris conference was attended by diplomats from all over the world, include foreign ministers from the European Union, US Secretary of State John Kerry, UN Secretary-General Ban Ki-moon, and representatives from Arab nations. French Foreign Minister Jean-Marc Ayrault said the objective was to bring the two sides back to the negotiating table by the end of 2016. "The two-state solution is in serious danger. We are reaching a point of no return where this solution will not be possible," Ayrault told reporters following the conference. Ayrault said the powers wanted work to begin by the end of June on a set of economic incentives and security guarantees to encourage the two sides to resurrect peace talks. A final communiqué released after the conference said all countries present had reaffirmed the need for a negotiated two-state solution and that direct negotiations between the two sides should be based on existing UN Security Council resolutions. It warned that the status quo - a lack of headway toward a Palestinian state - was not sustainable. The French foreign minister called Abbas on Friday evening to give him an update on the conference. Ayrault, according to the official Palestinian news agency Wafa, told Abbas that the French envoy to the peace process will arrive in the region soon to promote the French initiative. According to the Wafa report, Abbas told Ayrault that the Palestinian leadership is committed to the two-state solution and was willing to cooperate with the international community on the issue. Meanwhile, Palestinian Foreign Minister Riyad al-Maliki claimed that "some countries interfered to ensure the Paris conference's final communiqué will not include clear positions on the peace process, not even a timetable." He also criticized the fact the final communiqué did not include any mention of Israeli construction in the settlements, which he said threatened the two-state solution. US Secretary of State John Kerry said the parties had discussed the possibility of convening an international conference by the end of this year, but that direct negotiations between Israelis and Palestinians would be the only way to achieve a solution. "What today emphasized is we need to find some immediate kinds of steps on the ground that will make a difference," Kerry told reporters. "We need to work with the parties. Everybody agreed today that you can't impose a solution from outside." The European Union's foreign policy chief, Federica Mogherini, said it was the duty of international and regional players to find a breakthrough since the two sides appeared incapable of doing so alone. "The policy of settlement expansion and demolitions, violence, and incitement tells us very clearly that the perspective that (the 1993 Oslo Accords) opened up is seriously at risk of fading away," Mogherini told reporters. She said the Middle East Quartet of the EU, Russia, United States and United Nations was finalizing recommendations on what should be done for the two sides to negotiate in good faith. Israel, which opposed the French initiative from its conception, called the conference a "missed opportunity," arguing that instead of urging Palestinian President Mahmoud Abbas to immediately start direct negotiations with no preconditions with Prime Minister Benjamin Netanyahu, the international community has "given into Abbas's demands and is enabling him to avoid bilateral direct negotiations." "The pages of history will mark this Paris conference as a conference which enables the Palestinians to toughen their position and push peace further away," Israel's Foreign Ministry said in a statement. Chief Palestinian negotiator Saeb Erekat, meanwhile, said that "the Paris Meeting is a very significant step and its message is clear: If Israel is allowed to continue its colonization and Apartheid policies in Occupied Palestine, the future will be for more extremism and bloodshed rather than for coexistence and peace." "What is required," he went on to say, "is a genuine mechanism to fully end the Israeli occupation that began in 1967 and to solve all final status issues based on international law; including a clear and limited timeframe for its implementation." "We negotiated bilaterally with Israel, the occupying power, for over two decades, but they continue to violate all the agreements that we had signed. In fact the number of illegal Israeli settlers in Occupied Palestine has grown from nearly 200,000 to over 600,000 during the past 20 years of bilateral talks," Erekat added. French president Francois Hollande, who opened the conference, said regional changes should be taken into the account when discussing the conditions for an Israeli-Palestinian resolution. "The threats and priorities have changed. The changes make it even more urgent to find a solution to the conflict, and this regional upheaval creates new obligations for peace. We must prove it to the international community," he said. 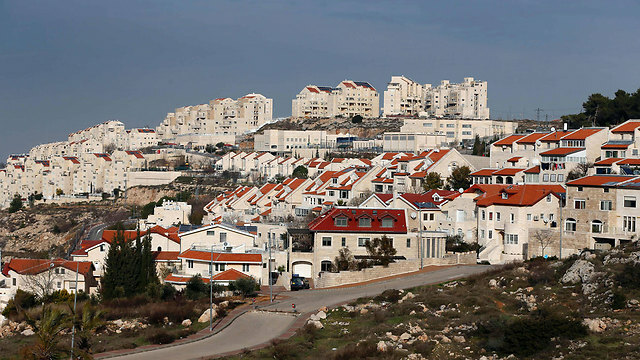 Israeli government endorsed, in a session held in Occupied Jerusalem, the investment of 220 million dollars in settlement projects in Jerusalem over five years under the pretext of “city development”. Media sources quoted Israeli PM Benjamin Netanyahu as saying that the sum will be invested in technology and companies. Mayor Nir Barkat was also quoted as calling for moving Israeli ministries and institutions to the occupied city of Jerusalem. 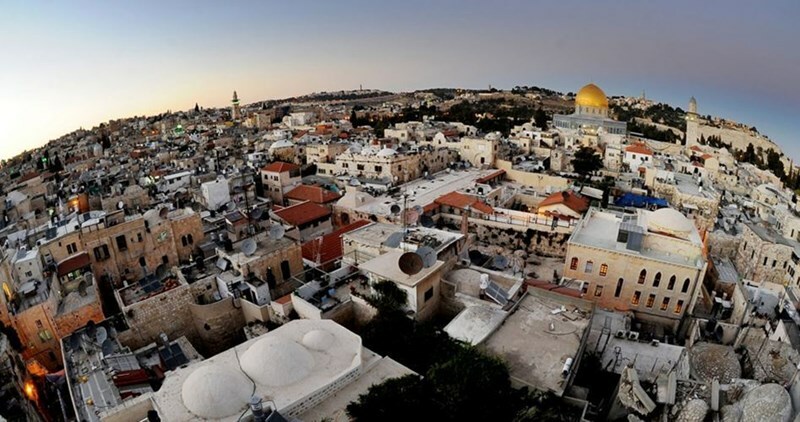 For his part, Former Minister of Jerusalem Affairs at the Palestinian Authority (PA) Hatem Abdul Qader opined that the Israeli budgets are allocated to establish Judaization projects in the city and supporting settlers only. In an interview with Anadolu agency, Abdul Qader condemned the Israeli Judaization projects and called on the Arabs and Muslims to shoulder their responsibilities and duties towards the city of Occupied Jerusalem and to confront the Israeli aggressive practices against the city. As thirty nations prepare representatives to meet in Paris Friday for talks about the Israeli-Palestinian conflict, the Jerusalem Post reported Wednesday that high-lecel Israeli officials have been meeting secretly with US agents in advance of the talks. Palestinian negotiators have frequently pointed out the power imbalance and what they call the bullying by Israeli negotiators that has gone on in direct talks in the past, and have called on the international community to intervene to assist the situation. The talks in Paris Friday are, in part, a response to that call, as well as to a move by the Mideast Peace Quartet – the US, Russia, the EU and the United Nations – to try to break the impasse that the Israelis and Palestinians have come to during previous negotiations. 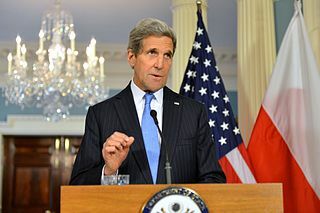 U.S. Secretary of State John Kerry is planning to attend Friday’s talks, and says that he is still pushing for a ‘two-state solution’ – although it is unclear at this point what that would look like, since Israeli authorities currently control 100% of Palestinian land, and have transferred civilian populations in violation of international law onto a large section of that land. Palestinians have, in past negotiations, made three key demands: the right of return of Palestinian refugees, the release of Palestinian prisoners and an independent state with Jerusalem as its capital. None of those demands have been considered by Israeli authorities during past talks. The U.S. State Department spokesman John Kirby said that he appreciates a statement by the Israeli Prime Minister earlier this week that he might possibly consider some of the facets of the 2002 Arab Initiative for Peace. But the exposure of secret Israeli talks with U.S. Officials will likely have an impact on the talks this Friday, according to a number of leading analysts. Hundreds of thousands of settlers now live across the 'green line', UN officials say, 'settlements are the vehicle for taking control of the land' and express concerns about their effects on the feasibility of a future accord, but add that 'some of it has to be reversible. In the hills east of Jerusalem overlooking the city of Jericho and the Jordan Valley stands a religious Jewish settlement whose red-tile roofs, neat gardens and brightly colored playgrounds give the sense of permanence. Mitzpe Yericho has stood on this escarpment close to the Dead Sea - the lowest point on earth - since 1978. It is one of more than 230 settlements Israelis have built in the West Bank and East Jerusalem over the past 50 years. Diplomats and international monitors are increasingly concerned that the drive may be reaching the point of irreversibility. If a peace deal were magically struck tomorrow, the Palestinians would expect the Israelis living in Mitzpe Yericho to leave. But its 3,000 residents, nearly all whom are religious nationalists, have no such intention. To them, the settlement enterprise is God-given and irreversible. "If there's peace with the Palestinians we're staying and if there's no peace we're staying," said Yoel Mishael, 65, who has lived in Mitzpe Yericho since its founding. "It's part of Israel, according to the Bible. It's something from God." Foreign ministers will meet on Friday with the aim of paving the way for a summit later in the year that they hope the Israeli and Palestinian leaders will attend. In a sign that he is aware of the growing international pressure, Prime Minister Benjamin Netanyahu said on Monday that he was in favor of parts of the Arab peace initiative, a proposal put forward by Saudi Arabia in 2002 that would grant Israel recognition in exchange for withdrawing from the West Bank and East Jerusalem, among other steps. The settlement project began after Israel captured the West Bank and East Jerusalem in the 1967 war and hundreds of thousands of Israelis have settled there since. Many live in large blocs near Jerusalem or the 'green line' that separates Israel from the Palestinian territories, while others live deep inside the West Bank in highly protected enclaves or pre-fabricated 'outposts' perched on hill tops. Calculating the financial cost of settlements to Israel is difficult; as well as the capital required to build there are defense and infrastructure costs and the price of tax breaks for residents who move there. But the Macro Center for Political Economics, an Israeli think-tank, estimates building alone has cost around $30 billion over the past 40 years. Barely a month goes by without a fresh announcement from the government or one of its ministries about West Bank territory being declared "state land", a precursor to settlement building, or a decision to allow new construction to proceed. At the same time, Palestinians living in a part of the West Bank known as Area C, which accounts for 60 percent of the total and is where most settlements are located, are being uprooted from the land in increasing numbers. During a visit to a sensitive part of the West Bank near the Palestinian city of Nablus, where settlements occupy almost every hilltop and are steadily expanding their footprint, UN diplomats studied maps and pointed out how the Israeli enclaves were spreading east toward the Jordan Valley. "It starts to look irreversible," said one official, a view separately supported by half a dozen foreign diplomats. Under the Oslo accords of the mid-1990s, Israel retains full control over Area C, where large tracts have been declared closed military areas. As a result, Israeli courts tend to approve the removal of Palestinians from the area and the demolition of their homes, even though the accords did not change the illegal status of settlements there. "Settlements are the vehicle for taking control of the land," said Catherine Cook, an official with the UN office for the coordination of humanitarian assistance and an authority on settlements, speaking last month. Asked whether she believed the settlement enterprise was irreversible, she replied: "Some of it has to be reversible." If a peace deal were struck, many settlements would undoubtedly remain. While not openly acknowledged, Palestinian negotiators accept that land swaps, in which the Israelis would keep major settlement blocs along the green line and near Jerusalem, and the Palestinians would receive equivalent amounts of land from Israel in return, would be part of the deal. But that would still leave vast areas of the West Bank, where 2.8 million Palestinians live in major cities such as Hebron, Nablus and Ramallah, dotted with more than a hundred settlements, many large and protected by the military. Education Minister Naftali Bennett is an ardent supporter settlements and wants Israel to annex all of Area C rather than allowing a Palestinian state to emerge. Defense Minister Avigdor Lieberman lives in a settlement and is similarly wary of Palestinian statehood, even if like Netanyahu he has welcomed elements of the Arab peace initiative. Hagit Ofran, a senior official at Peace Now, an Israeli NGO opposed to settlements, believes lines could be drawn that would allow a Palestinian state to emerge even if Israel kept many of its enclaves. But even then she estimates that as many as 150,000 settlers may have to be uprooted. While some might leave willingly if offered the right compensation, many others would not. The removal of just 8,500 settlers from Gaza in 2005 caused violence and outrage. Many of the settlers in the heartland of the West Bank are religious nationalists who believe all the land, which they call Judea and Samaria, was gifted to Israel in the Bible. They are not interested in financial incentives to leave. 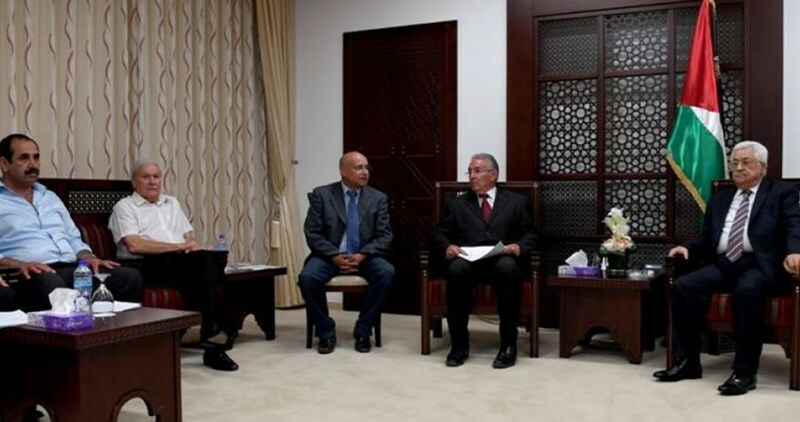 “Our doors are open with all Israelis”, Palestinian Authority (PA) President Mahmoud Abbas said as he received a delegation of Israeli municipality mayors in the presidential headquarters in Ramallah on Tuesday. “We work towards making peace with the Israeli people that you represent; this meeting today comes within this framework,” Abbas told the Israeli mayors. “The coexistence experience in villages of Galilee definitely shows that Palestinians and Israelis are able to live in peace in two side-by-side states,” he noted. “All we want is for Palestinians to live in their own state on the borders of 1967 side-by-side with the state of Israel,” Abbas added. Abbas brought up the Arab Peace Initiative, which called for an Israeli withdrawal from the occupied Palestinian territory in exchange for full normalization of ties with Arab states. “We welcome everybody because we want to live with you. We are humans and we have the right to an independent state, so why deny us this right?” said Abbas. “We have been working on the culture of spreading peace for more than ten years and our doors are open with for Israelis because we want to live in peace and freedom,” Abbas further stated. Israeli president Reuven Rivlin on Tuesday vowed the illegal settlement of Ariel would remain forever under Israeli control, despite its location deep inside the West Bank. 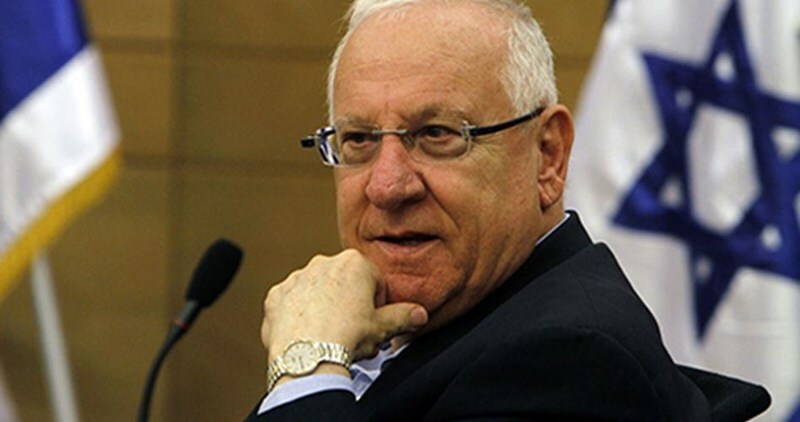 Rivlin made his remarks during his meeting with representatives of Ariel University in his office in Occupied Jerusalem, hailing a plan to build a medical center in the settlement near the Palestinian city of Salfit. "It is obvious to everyone that Ariel would be an inseparable part of Israel in any future accord," he said. He spoke a day after his premier Benjamin Netanyahu on Monday partially expressed his support for the Arab Peace Initiative, offering to negotiate with the Arab world the parameters of the plan. Ariel had already been described as the capital of Samaria and an indisputable part of Israel by Netanyahu during a visit in 2010 to the settlement, which is considered one of the largest entities for Jewish settlers in the heart of the West Bank.